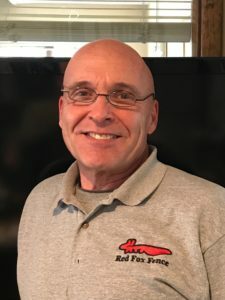 There is only one name to call when you are looking to have a new fence installed on your property in Ridgefield, CT. Red Fence Fox has been the preferred fence company in Ridgefield, CT since we began operations in 2006. Professionalism has been at the core of all our client relationships and we strive to complete every project correctly. If you are looking for a very experienced, and well qualified fence company in Ridgefield, CT, please call us at (845) 254-0330 to tackle your next fencing project. We are the best choice as your specialized fencing contractor in Ridgefield, CT and the surrounding areas of Main Street, Ridgebury, Salem Road and Branchville. So, call on us whether you need a chain-link or wrought iron fence for better security on your property, or an ornamental fence on your backyard instead. No task is too complex for Red Fox Fence. We have gained tremendous experience having worked on fences for over 12 years. Our team is made up of certified professionals ready to get to work and install the perfect fence for you. With years of experience in the field, we have remained up-to-date with industry best practices and permit regulations within Ridgefield. We can have your fence completed quickly and on budget. By working with us, you will have numerous options to choose from for your next fence installation. We offer wide-ranging selections for wood, vinyl, ornamental and wrought iron fencing, and more. As with every project we engage in, we will work with you step-by-step to get a clear picture of what type of fence installation you need and bring it to life. Our dedicated design team will also work to create a fence design that’s unique and aesthetically appealing. It is about time you had beautiful fence, right? Furthermore, we can help improve or repair any current fences that you have now. Did a previous contractor do a shoddy job with your pool fence, chain-link fence or driveway entry gate? Call us today and we will have our service manager over to assess the problem and provide you with a solution. Because of our dedication to doing the job right, and at a fair price, our reputation continues to shine as the best fence company in Ridgefield, Connecticut. This is due to our professional and high-quality workmanship combined with the relationships forged with every customer we have worked with. We would love to partner with you too. So, give us a call today at (845) 254-0330. We will definitely take great care of you. At the foot of Berkshire Mountains is where you will find Ridgefield, CT. The town is part of Fairfield County, CT and it boasts a 300-year history. As of the last census in 2010, the residents of Ridgefield numbered 24,638. The city is home to numerous sights and sounds which all make for a worthwhile adventure. Contemporary art lovers and history geeks will find the town’s museum perfect while families can have a day out and tour one of the many nature trails within the town. Ridgefield is indeed an exciting place to be with fun activities at every turn.